TOTAL CHAOS Martin Oddy was one of the residents disturbed by the party. More than 100 schoolchildren descended on a quiet cul-de-sac in Morley for a booze-fuelled house party on Friday night. Furious residents described how “mobs” of young teenagers filled the street, drinking in people’s gardens and causing a nuisance. It took the arrival of police in Arncliffe Crescent to bring the group under control. He said the party had been organised by one of the young people who lives in the Crescent, with invites being shared on social networking site Facebook. As the party began, Mr Oddy said he saw mobs of children walking down from Glen Road. Police were called to break up the party and clear children from the street. Officers also contacted the host’s parents, who returned to help deal with the aftermath. 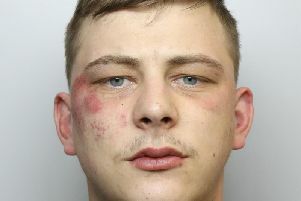 Insp Paul Sullivan, of Morley Neighbourhood Policing Team, said: “This incident illustrates just how quickly a party involving unsupervised children can get out of control, particularly when it has been advertised to others on the internet. He said officers were looking into the circumstances and a decision would be made on whether further action was needed. “Our general advice is for all parents to be aware of what their children are doing and consider the impact their behaviour can have on others,” he added.